First launched in its native home of Japan in 1983 and introduced to North America two years later, Falken Tyre has now become a stand-alone brand that specialises in Ultra High Performance products. Now based in Rancho Cucamonga in Fontana, California, Falken sponsors a wide range of motorsports including ALMS, Super Taikyu and 24 Hours Nürburgring. Its involvement with race teams and professional motorsports provides a high-pressure test-bed for technological innovation and development of the Falken Tyre brand and its products. 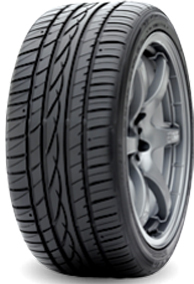 Falken’s mission is to create high performance radial tyres at an affordable price. And, with over thirty years of innovation, the Falken Tyre range covers everything from passenger vehicles, SUVs, trucks and performance cars. We do not currently have this tyre in stock. Complete your details below and we will try and find it for you. Tyre expert will contact you shortly. 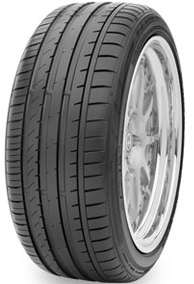 These are good tyres for our Mazda SP20, and they wear well and handle well too. Would buy again and could recommend to a friend. They represent good value for the amount of money spent. 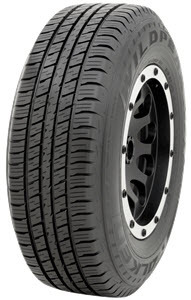 An excellent high value H/T tyre that is more than capable of some light/medium off roading. Excellent performance in wet conditions, we have done 2 trips to the snow and while others put on chains the Wildpeaks gave more than enough grip to drive on icy/snow roads. Very quite and sure footed on the highway/main roads, we live on a bush block with a steep gravel driveway, the tyres have excellent traction in all conditions. The price/value of these tyres is very hard to beat, they have out-performed more expensive tyres in the same conditions to the point that family and friends are now changing over to the wildpeaks. Highly recommend. 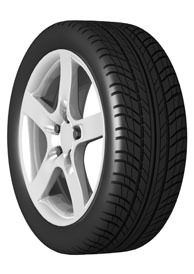 first rate tyres - purchased about 9 months ago, so far no issues, economical and good performance. Have tried several supposed top shelf brands, Germany, Italy, Japan, UK. But 3 were average handling, and to soft, wearing to quickly. Factory brand, noisy at half worn. Mazda 3. 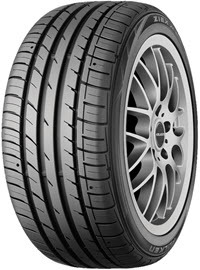 Falkens, are quiet, long wearing, and most important of all, class quality, handling in wet or dry conditions, and under braking.Silica strengthened tread, great stuff. A pleasure to find, and use, safety assured. excellent prices, speedy delivery and easy fitting time. Very happy with the Falken tyres. Impressed that Tyresplus found the front lower rear bushes worn out. These were replaced before the wheel alignment was done. Thanks Tyresplus.